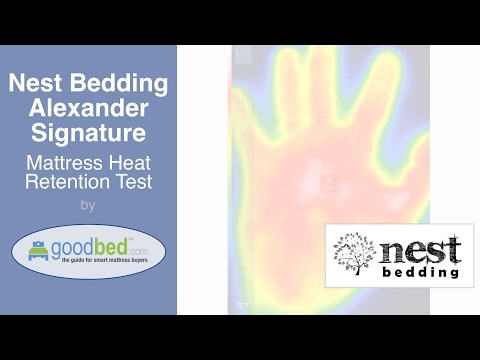 GoodBed's test of the heat retention and cooling properties of the Alexander Signature Series mattress from Nest Bedding. Available in Medium, Soft, and Luxury Firm. Schematic of the layers and materials used inside the Alexander Signature Medium mattress. Overhead view of the Alexander Signature Select. The Alexander Signature Select is designed to provide great sleep. A soft quilted, luxurious top layer of fabric greets you and provides a cool, comfy surface. The top layer of convoluted foam provides an ergonomically supportive surface and a more airy, breathable surface than traditional flat memory foam. This can help your body regulate its ideal sleeping temperature. Just below is another cooling layer of supportive, cushioning high density Gel Foam, and the convoluted support base layer adds a unique design element to our beds you won't find in more expensive beds. Convoluted Foam provides a more luxurious feel and better air flow. A foam mattress will feel very different than a coil mattress. Coil mattresses have a metal rod running around the bed, making it stiff to sit on the edge. Foam mattresses traditionally will not feel stiff when sitting on the edge. This is normal! The Alexander Signature Series Mattress comes compress-packed in a box for cost-effective shipping, right to your doorstep and small enough to fit in the family 4-door. No fancy box here, we don't add to the cost of your new bed. While other companies brag about their cool box, we put the money and effort into the mattress. Compare our components and construction to other mattresses at twice the price and they can't hold up to the quality and design of the Alexander Signature Select. Durable 4lb and 5lb Gel Foams, Convoluted Layering and a very competitive price. How are we able to do this? You are not paying for a big name brand, we design our own mattresses. You don't pay for a big brand's marketing and advertising or their crazy mattress company markup. 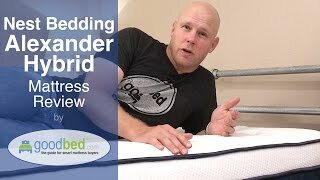 To determine whether the Alexander Signature is the right choice for you, read GoodBed's expert review of the Alexander Signature mattress or watch our in-depth video review of the Alexander Signature mattress. 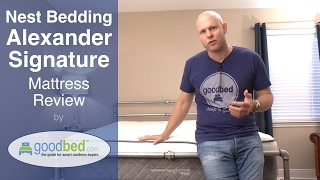 Is Alexander Signature Series the right bed for you? Based on 756 real owner experiences with this brand. How do people like you rate their Nest Bedding Alexander Signature Series mattress? Mattresses are personal. Filter the 756 Nest Bedding Alexander Signature Series ratings by sleep position, weight, age, gender and more to find the ones that are most relevant for you. The Nest Bedding Alexander Signature Series line is recommended by 86% of owners on GoodBed (based on 756 ratings + 281 reviews). 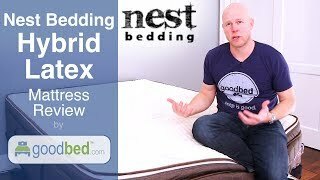 Want more reviews from Nest Bedding Alexander Signature Series mattress owners? Do you have a Nest Bedding Alexander Signature Series mattress? Write a Review! Have a question about Alexander Signature Series products or stores? Mattress Thickness: 12.50" to 13"
Note: The product line specifications above were derived from the active Nest Bedding Alexander Signature Series models listed on GoodBed. As a result, these details may not be comprehensive and may not apply to all Nest Bedding Alexander Signature Series models. If you are seeking specifications for a particular Nest Bedding Alexander Signature Series mattress, please search for that mattress by name on GoodBed, or check with your local Nest Bedding Alexander Signature Series dealer. Luxury Sleep at an Affordable Price. The Alexander Signature Series product line is a collection of mattresses released in 2014 that is manufactured by Nest Bedding. Have an update or correction to our information about Nest Bedding Alexander Signature Series? If so, please take a moment to suggest an edit. 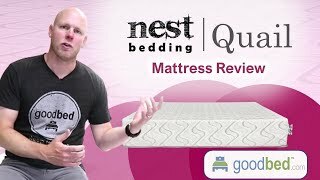 Nest Bedding Alexander Signature Series mattresses sold by Nest Bedding come with a 100-night in-home trial. Nest Bedding Alexander Signature Series mattresses are only available online or through Nest Bedding stores. Click here to check for a location near you.